Huawei has unveiled what it calls the industry’s first data centre switch built for the Artificial Intelligence (AI) era – the CloudEngine 16800. Huber+Suhner launched a new range of Polatis high-density latching protection switches for wireless and metro networks at ECOC 2018. The Series 6500 range adds an autonomous optical layer of 1+1, 1:1 and 2x2 bypass protection to multiple duplex services in a compact form factor. Lumentum introduced, at ECOC, a next-generation contentionless MxN Wavelength Selective Switch (WSS), the TrueFlex Twin 8x24, adding to the company's portfolio of ROADM solutions. The latest ruggedised, high-performance switches from D-Link have been announced as the DIS-100G, DIS-300G and DIS-700G Series switches. They have been designed to support the rising demand for smart city applications, industrial automation and the growing adoption of Industry 4.0 techniques, with simplicity of installation and low maintenance requirements. ADVA’s FSP 150 ProNID range of network edge devices now features zero touch provisioning. By removing the need for manual intervention in the provisioning, testing and activation of demarcation equipment, the company says it is dramatically simplifying how communications service providers configure the network edge. Keysight Technologies’ Ixia Solutions Group has launched the iBypass DUO next generation bypass switch. Providing two management ports, the iBypass DUO offers 10G and 1G support, allowing network security teams to switch inline security tools in and out of network without bringing down the network or creating a point of failure. Calient Technologies launched, at the recent OFC 2018 event, its Edge|640, a new optical circuit switch with 640 fibre-optic cross connections – up to twice the capacity of the company's existing S320 OCS. 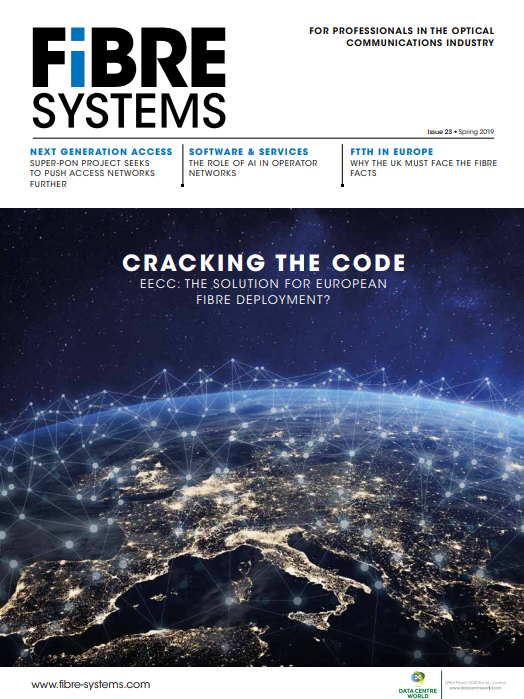 The Edge|640 was developed for data centre, telecommunication and test laboratory applications in response to growing device counts and the need – due to network virtualisation – for increased connectivity. Key applications include wireless network radio-to-baseband units; test lab automation shared test resources and data centre GPU, FPGA and storage compute clusters. Ciena is expanding its packet networking portfolio with three new edge access and aggregation products and more capacity for its 8700 Packetwave edge aggregation platform. These new capabilities address 10 and 100 Gigabit Ethernet service delivery and aggregation to support new web-scale applications, like IoT, next-generation mobile and business Ethernet. ADVA Optical Networking has launched the FSP 150 ProVMe (P2.4), a device engineered to help communications service providers more easily and cost-effectively introduce network functions virtualisation (NFV) into their networks. At Mobile World Congress 2017 in Barcelona, Huawei unveiled what it believes to be the industry's first 4T router line card – that’s four terabits – delivering the industry's highest density 100 Gigabit Ethernet interface interconnection. The line cards will boost the capacity of Huawei's NetEngine9000 series core router (NE9000), which currently supports 80Tb/s in a single chassis (and petabit capacity in a multi-chassis configuration), expandable in the future to 160Tb/s in a single chassis.